Billy Eichner, the comedian best known for his show Billy on the Street, appeared at the I Heart Radio Awards last night and whipped the crowd into a frenzy … about wealthy murder suspect Bob Durst. During the show, Eichner got the teens in the audience to agree to play a game: He would shout out the name of someone famous who was attending the awards, and the teens would cheer loudly to show how excited they were to have them there. “Rihanna!” The teens scream. “Sam Smith!” The teens scream louder. 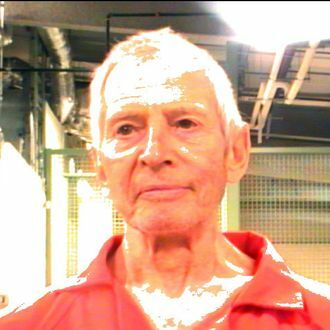 “Robert Durst!” Oops, the teens also scream. Somebody tell the writers at Pretty Little Liars to work a Durst reference into the show, or else the teens will never find out about him.